Statistics show air bags help people avoid serious injuries when they are in car accidents. But it's important to remember that air bags can hurt you if you don't know how they work, or if you don't stay out of its "danger zone." Buckle up. An air bag works best when you're wearing a seat belt. Tilt the steering wheel. Make sure the wheel faces downward so that the air bag would go toward your chest instead of your head or neck if you're in an accident. If you're pregnant, take extra care that the wheel is tilted toward your chest – not your head or belly. Distance yourself. 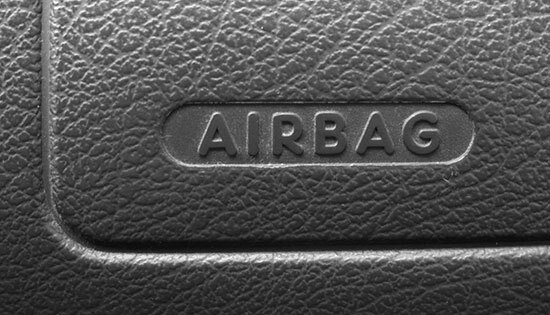 The danger zone for an air bag is the first 2 to 3 inches from where it inflates. If you're a passenger in the front seat, you should be 10 inches away from the air bag at all times, and it's best if you move the seat all the way back. If you're the driver, you should have the seat as far back as possible but still be able to reach the pedals easily. Kids in the back. Always. Children ages 12 and under should always sit in the back seat and wear seat belts. Kids who ride in the front seat are at risk for serious injury if an air bag inflates. Never put a car seat in the front. Because the air bag inflates with extreme force close to the dashboard, you should NEVER put an infant in a rear-facing car seat in the front. The force alone could kill the child. Read the owner's manual for your vehicle and the instructions for the child safety seat to properly install it. Read about choosing the proper car seat. Use a booster seat plus a seat belt that goes over the lap and shoulder, or just the seat belt, depending on the size of the child. Push the seat all the way back. Make sure the child sits with his or her back against the back of the seat, with the seat belt against his or her body. Turn off the passenger airbag, if possible. Some vehicles automatically turn off if a passenger weighs under a certain amount. Car manufacturers must conduct many tests on their cars to try to make sure air bags inflate correctly, but sometimes the air bags are defective. If you were in a car accident and were seriously injured because your air bag didn't work properly, you may have a product injury case. At Edgar Snyder & Associates, we've seen this happen far too often. Since 1982, we've helped thousands of injury victims – including people who were hurt by defective air bags. We've worked hard to get them compensation for their injuries. We wish we could turn back the clock, but because we can't, we do everything we can to give you and your family a secure future. If you've been injured by an air bag you think is defective, contact us right away at 1-866-943-3427, or submit your information online with the form at the top right of this page. We offer a free legal consultation, with no strings attached.